Welcome to this week's Rerun, your weekly digest of digital storytelling, interactive media and the future of TV curated by Axonista. The latest 'Over The Top' featuring CollegeHumor! In this episode of "Over The Top'', Jocelyn and Dermot, are joined by CollegeHumor’s Vice president, Shane Rahmani. 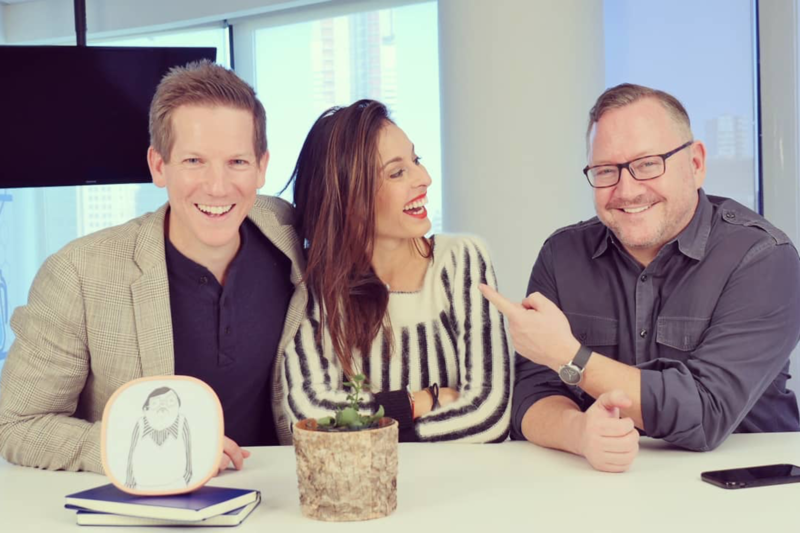 They discuss if Amazon can become an advertising powerhouse in 5 years, and lots more! Mammoth Media has raised a Series A of $13million. It will use this to create new mobile storytelling apps and branded content. Its flagship app Yarn tells stories through text conversations between its characters. Yarn users have read an impressive 36 million stories since the app launched last year. The Guardian has published a review of Steven Soderbergh's new interactive story "Mosaic". It was marketed as "a new storytelling experience" that gives viewers multiple perspectives on the same storyline. The intention is that viewers will feel compelled to rewatch it again to see the other side of the story. For small-screen crime obsessives tiring of a familiar format or perhaps gamers accustomed to a more expansive and controllable form of storytelling, the Mosaic app offered something undeniably attractive, akin to a hi-tech spin on Choose Your Own Adventure. But compacted into a more easily digestible format, without the ability to customize one’s own experience, is Mosaic a mystery worth solving? "VR just ain't what it used to be." I imagine telling this to my grandchildren someday. Virtual Reality is becoming more and more ubiquitous as a medium for storytelling. This year's Sundance Film Festival track on New Frontiers sold out all week, displaying 18 VR pieces. Some of us may still feel bulky headsets are not the future, but VR runs deeper than the current devices we experience it on. Soon, that conversation will shift from the technology we're using, to the stories we're now able to tell. Colleges have embraced the idea of esports, with many now offering varsity scholarships for esports. Some notable colleges include University of Utah, Boise State, and Miami University. Now that they are sharing space with athletics and sports programs in colleges, where do they stand? For now, the scholarship amounts themselves serve as a good benchmark. While video games are getting more viewership from the 18-25 age demographic in the U.S. than the NBA Finals or the World Series, the scholarships are nowhere in the ballpark of those given to college sports. The average scholarship figures for esports tend to be $2-$5k. On the upside kids can now tell their parents that the time they’re spending in front of these games is key to their college education. It might be time to get that old Super Nintendo out of storage, dust off those cartridges and compete! It's easy to imagine a dark future, in which technology like this can be used to undermine democracy by generating fake news or to encroach on a person's freedoms. But for the moment at least, we can enjoy some of the more novel applications such as adding Nic Cage's face into any movie of your choice. Enjoy!